Although the waterdrop shade is more ligher but it doesn't has a brightening effect on my skin after it's blended. It looks like I don't wear any bb cream at all （￣ー￣）. But the beyond solution makes my skin look more brigther and smooth because of the medium heavy texture. ✩ A light weight bb cream, great for everyday use. ✩ A medium weight texture bb cream. 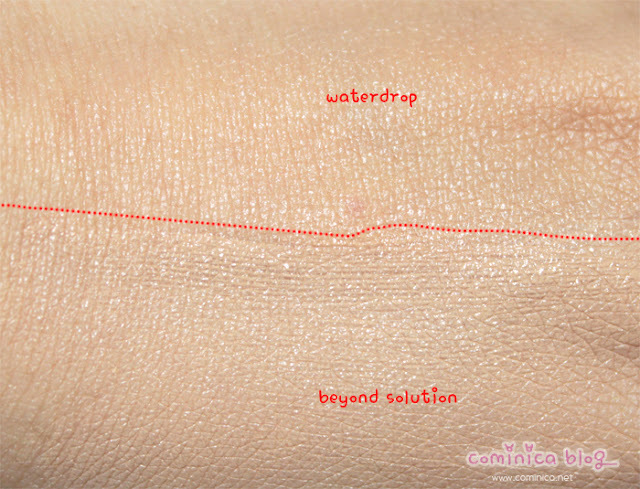 ✩ Thick texture (but not as thick as missha IMO). ✩ Doesn't makes me breakouts. ✩ Oxidize when I'm sweating/in a hot place. ✩ Has a brightening effect when blended. So, if you looking for a light weight bb cream for everyday use, go find Liole waterdrop bb cream. 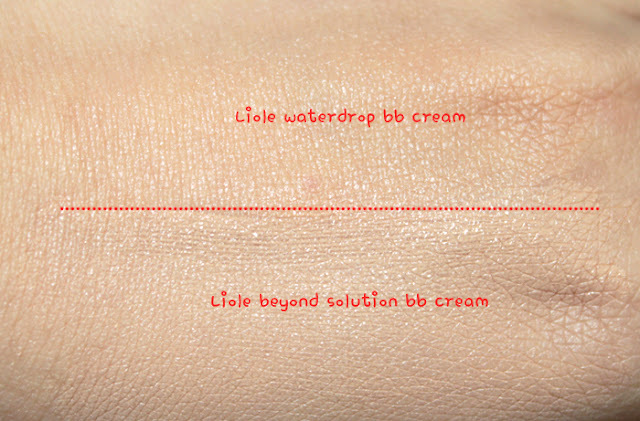 But, if you looking for a medium coverage with brightening effect you should try Liole beyond solution bb cream. I've been wanting to get new bb cream and I wanted to see if the waterdrop ones were any good, thanks! really helpful for having some comparison.. Thank you, the design is so cute! OmG!! So coool products really interesting posts!! 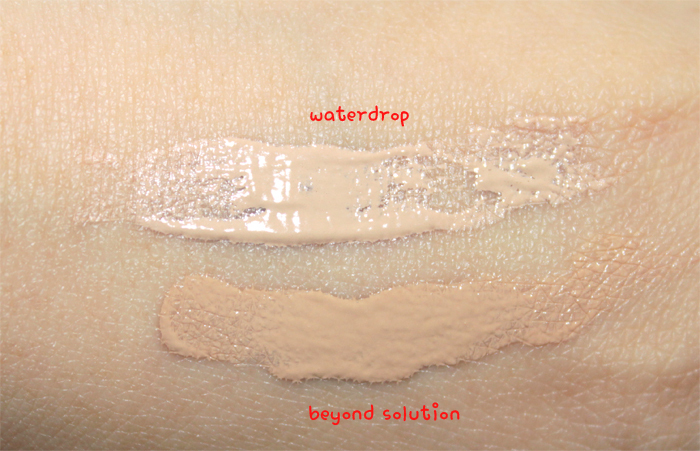 The waterdrop bb cream look great! I am always in the lookout for a lighter coverage bb cream! 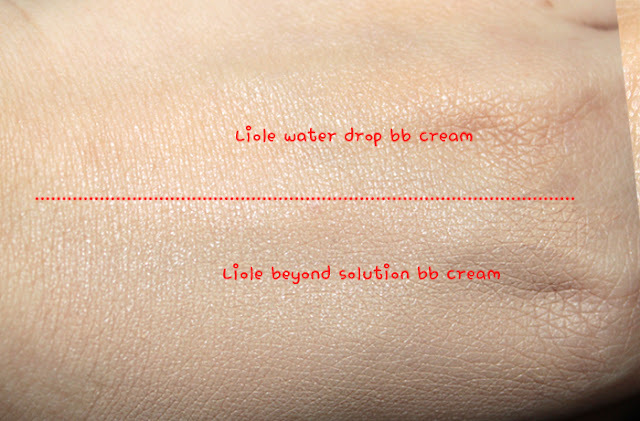 I've been thinking about trying Lioele's BB Creams after I finish my 2nd tube of Missha. :3 I really like thick coverage though so I must go with Beyond the solution~ Thanks for sharing! Omg thank you so much for this review! I have Missha's Perfect Cover bb cream but the mineral oil in it clogs my pores, so I've been looking for another med to heavy coverage bb cream. The Beyond Solution one looks and sounds really good! Tadinya ngincer si water drop, berharap bisa kasih dewy efek gitu, dan emang lebih demen yg coverage nya sheer2 begono. Tapi kaya nya bakalan lebih masuk shade si beyond deh. Huhu...si water drop bakalan ngeblend ama tone kulit ga sih? Maybelline Hyper Sharp liner + Giveaway winner! Peaceful Holiday to Bangka Island!